Holy moly we’ve never been this relevant before. 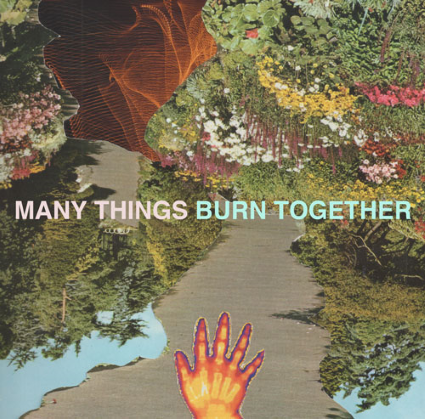 Burn Together is the NEW single from London’s lovely little trio Many Things and it is out TODAY. These guys have been dipping their toes into the pool this year with debut single Holy Firebeing one hell of a catchy number, and now with Burn Together, we’re starting to think they’re subtly telling us they’re arsonists. But what’s a bit of burning buildings when you’re good at writing songs right?! Right! Burning Together is a track that takes a whole lot of youthful enthusiasm and sunny energy to create something that is anthemic as it is catchy. Powerful piano keys sprinkle the track and huge tribal percussion comes in to erect a huge tower of momentous power, and the chord progression is something that’s uplifting as it is enjoyable. The vocals are on point, the harmonies are great and the main riff is something that could absolutely set the world on fire. It’s awesome. Burning Together is a fantastic tune, and a great way for Many Things to cement themselves as a band to watch this year. The title will also be the name of their debut album which will be out sometime soon before the band goes on tour with Is Tropical and well, it should be a doozy. Awesome, awesome song. Stream the track below, and for more music reviews, free downloads and for a touch of sunshine and love check out Exploding Head Syndrome on Facebook and Twitter.